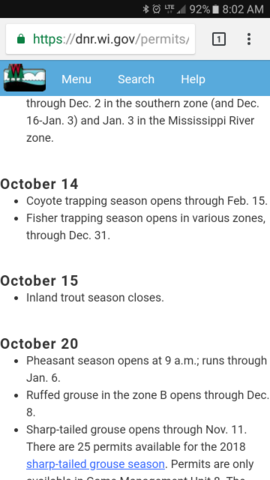 Register Log In Home Forums Trapper Talk Coyote trapping in WI. 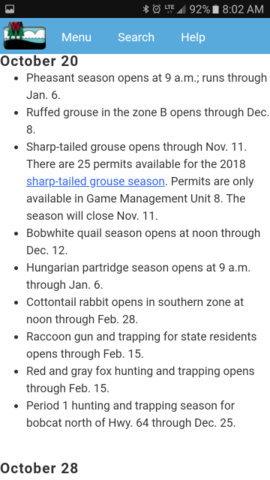 Found this on WI DNR says coyote opens 6 days before other dry land? Anyone know if it is a mistake. I spoke with a DNR representative and was told the internet is wrong. They will be correcting it. Yes the reg books have the opener at Oct. 20th. All of which are @ least 2 weeks too early. I agree they are too early. I was told by a warden the regs are up dated online any time a change is made... like the fact anyone over 16 can now get a mentored trapping license twice in their lives before taking trappers ed class and anyone under 16 can get one any number of times till they reach 16. Other rules apply like trap tags if over 16, in contact with mentor, ect. 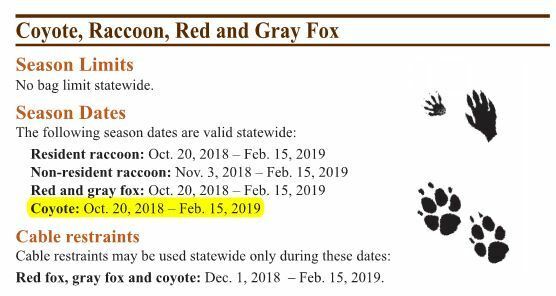 So when I looked up the dates on the dnr website and the coyote was early I mentioned it here. Hopefully it gets changed before someone jumps season. I thought the regs had changed on CRs and you could use them On private ground on the opening dates for foot holds. Last I heard they were still trying to get that approved and wouldn't make it this year. I had a wedding to attend and didn't make it to Marshfield. Anybody know did Scott step down and who the new President of the WTA is? I know Scott was very influential at the capital. Scott did not run and Arnold Groehler is the new WTA president.